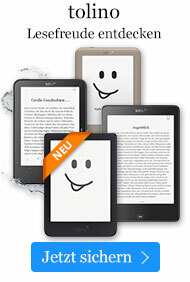 eBook € 15,87* inkl. MwSt. Bang! Being shot in the middle of the night and left for dead is what it took to open her eyes. Until that fateful moment, Regina Harris lived la vida loca with pimps and hustlers, a gangster lifestyle that supplied the money she needed to get high and forget the poverty of Harlem. Now she has turned her life around, is a college graduate and freelance journalist, and makes enough money to live on the Upper West Side and hob- nob with the city's movers and shakers. She's become the classy Satin Doll of the Duke Ellington song. But she can't forget where she came from: her three best friends are from the old neighborhood. The Harlem homegirls. Regina tries to give emotional support to each of her friends as they deal with their own personal issues: Yvonne is a single mother looking for the right man. Tamika must raise two children alone while their father does time in jail for robbery. Puddin' lives her life by picking up men and smoking weed. Living in two worlds; comfortable in neither. On a night out partying with her homegirls in Harlem, Regina meets aspiring lawyer Charles Whitfield, son of a pro-minent, upper-class black family in Philadelphia. He loves her but not her rough-around-the-edges friends. She loves him but doesn't think she can live up to his family's expectations. Regina tries desperately to hide her former life, but when her past is revealed, it threatens to destroy her relationship with Charles and the life she has worked hard to create.From its dramatic beginning to the fateful ending, Satin Doll is a witty and truthful take on relationships, friendships, and class distinctions. Karen E. Quinones Miller is the Essence bestselling author of Satin Doll, I'm Telling, Using What You Got, and Uptown Dreams. She has been nominated for the NAACP Literary Award. In addition, she is a literary consultant, CEO of Oshun Publishing Company, and a former literary agent. She lives in Philadelphia with her daughter, Camille. Booklist...A marvelous tale about not letting the past define one's future.